Ever since 2012, I’ve been listening to synthwave. Whether classics like Anoraak, Fear of Tigers, and Tesla Boy, or even newcomers like Occams Laser, Absinth3, and Zombie Hyperdrive, there’s always something that brings me into their music. It could be anything, their specific aesthetics and vibes of their albums, their outstanding vocal work, or maybe it’s just their name. Today we’re looking at a classic group with 8 songs spanning from 2007 to 2010, named The Outrunners. 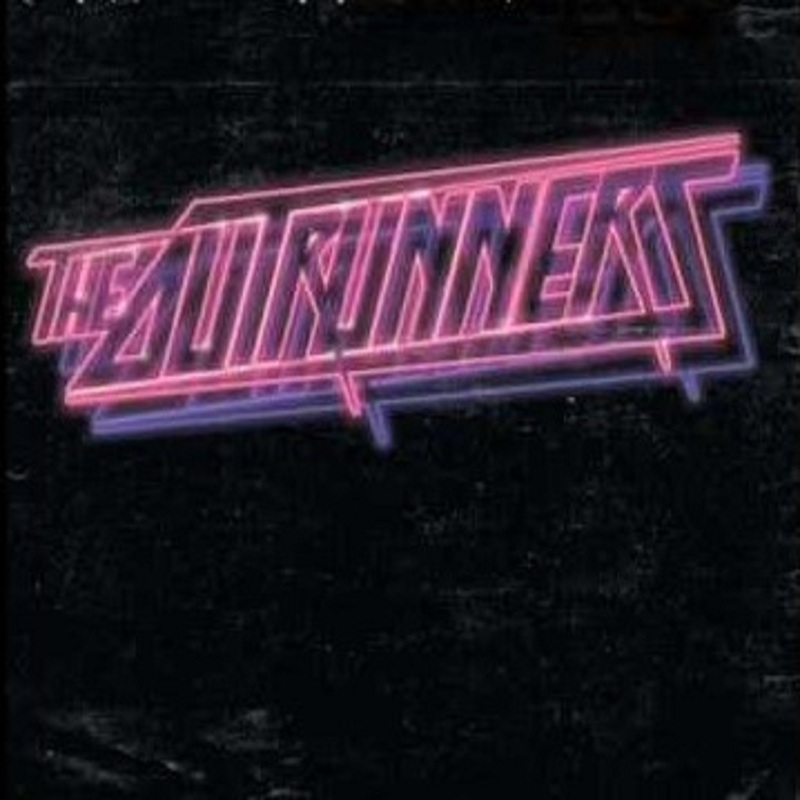 The Outrunners is made up of two people, named Pierre de la Touche and Stephen Falken, who have their own personal music projects named Forgotten Illusions and Stephen Falken, respectively. They combined to make some of the original synthwave tracks that inspired other artists to come together, and are closely related with the Valerie Collective, which supports artists like College, Maethelvin, and Minitel Rose. They’ve had several songs over the years, and on May 7th of 2013, they released those songs in a long forgotten album titled “Originals”. The first track is entitled “These Girls Are Dressed To Kill”, and was released on September 28th in 2009, their fourth track created. The song is definitely jam material, full of complex rhythms and pulsating sounds, it screams 80’s disco, I could imagine this in movies like Roller Boogie, old dance movies like that. The original release came with two remixes by Russ Chimes and Livyo, the former remix seems to be the most popular. “Cool Feeling” is the second track, and was released sometime in 2007, but seems to be their first track created together. What a fantastic first track. It seems every song they have is an instant dance your pants off feeling, and never lets up or holds back, truly in the style of 80’s dance tracks. The EP release of the song came with remixes by Anoraak and Maethelvin, both remixes outstanding and still following the dance-a-thon rhythms of the original, though my favorite remixes goes to the mixmaster himself, Maethelvin. The song also had a limited edition 7″ vinyl run with College’s “Teenage Color”, and only 500 were ever released. “Blazing Speed And Neon Lights With You” is the second track they created, as well as track number 3 on the “Originals” album. It’s reminiscent of tracks like “So Electric” by LIFELIKE, very bubbly and bright in sound, as well as in its style, it’s very upbeat and yet again, very much a dance track. The release with the two remixes on it back in 2007 includes a vocal remix by Jontanamo and a regular remix by Matt Hughes, which I’ve never been able to locate unfortunately. The next track is entitled “Runaways”, and seems to be their third track created, this song not released by them, but on a compilation album released by the Valerie Collective entitled “Valerie & Friends”. It keeps their usual dance rhythms, but also taking on a somewhat 80’s montage feeling. I could run around a city block listening to this track, or climb up a mountain in Siberia. The song fits right in with the other artists in the Valerie lineup. Next is what I’ll call their debut EP, called “Running For Love And Money”. It includes 4 songs, and was released on September 29 in 2010, and was also pressed onto vinyl format, which is forever sold out. It’s a shame, this would be a vinyl release I’d be willing to spend money on (if I had a vinyl player). The fifth track on “Originals” and the first track on the EP is the title track, “Running For Love And Money”. They seem to have upped their ante in this release, adding more instruments and sounds to their inventory, and keeping in mind their trademark dance sound. It’s a fantastic start to the EP, and an evolution in the album in question here. “Elite” is the sixth track on “Originals”, and second track on the EP, and it’s gotta be my second favorite on the EP release. It’s significantly darker than most of their tracks in my opinion, and using personal favorite sounds and instruments in it that I find common in other artists like Night Runner. It’s also still very much a montage song. However, my favorite track is “Diamonds”. It’s the second to last track on “Originals” and third track on the EP. This one has build-up, dark feelings, head-bobbing opening, and familiar soundscapes. It’s a return to a past lost in the visions of the old world. It’s a journey beyond the future. It shines, just like the artists themselves. The final track on both releases is entitled “Mirror Shades”, and is their most 80’s-sounding track to date. It reminds me of old music scores like Harold Faltermeyer and even gives me feelings of movies like Pretty in Pink and Sixteen Candles, like an end credits finale to the movies you know and love, and the artists that help shaped the synthwave scene forever, they deserve to be called a part of the synthwave scene.